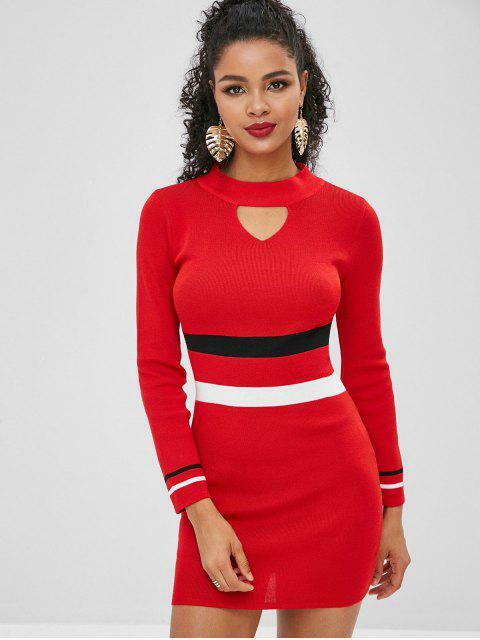 [52% OFF] 2019 Tight Colorblock Mini Sweater Dress In LAVA RED | ZAFUL .. Available in three colors for you to select the most suitable one, this knit sweater dress has a figure-flattering silhouette to show off your curves and a cut out like a sweetheart on the front. The color blocking on the waist and sleeve cuffs catch eyes, making you the focus in the crowd.